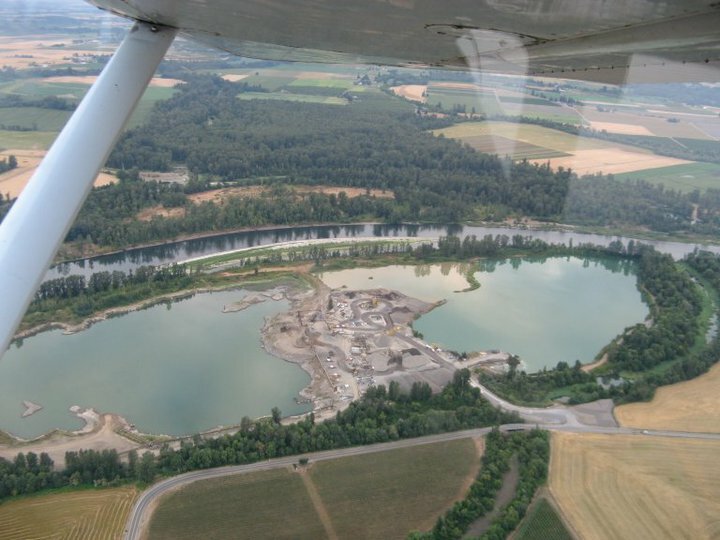 To adequately see the damage left by gravel quarries on our river valley, one needs to be in the air … Thanks to John and Sam for providing these aerial photos so the rest of us can see it too. Pretty, isn’t it? 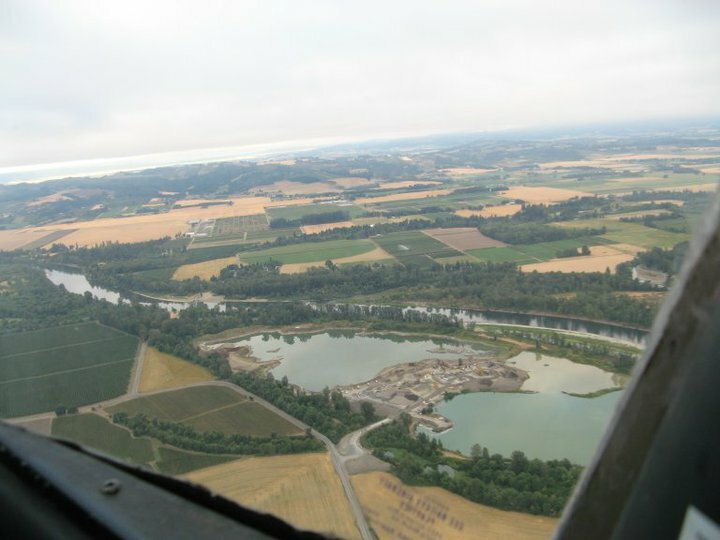 This photo illustrates some of the best aspects of the Willamette Valley — the pastoral symbiosis of our agricultural economy and the river ecosystem. 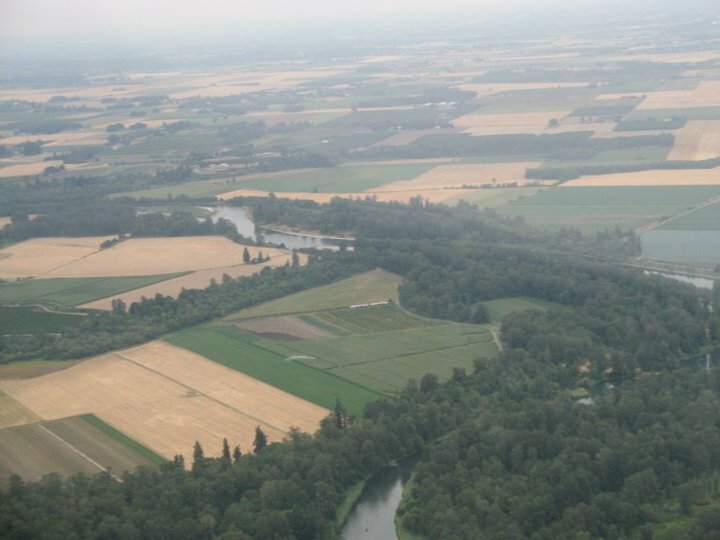 Trees buffer the river from the fields, and the fields benefit from being near a thriving habitat. One can see raptors hunting in these fields almost every day of the year, but especially in the winter. There is an osprey nest just across the road from the proposed site in a large snag at the edge of the Greenway cottonwood forest. It is a peaceful and beautiful spot that is beneficial for the valley’s wild animals and profitable for farmers. 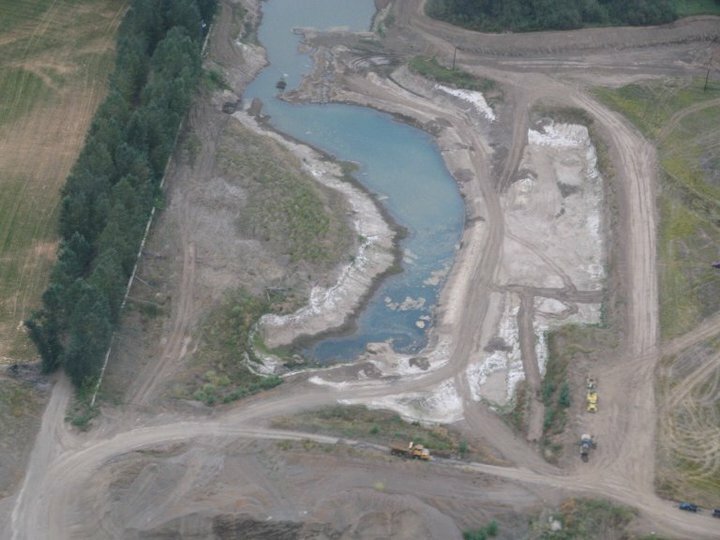 Now, in contrast, below are some photos of operating and ‘reclaimed’ quarry sites very near to the island. 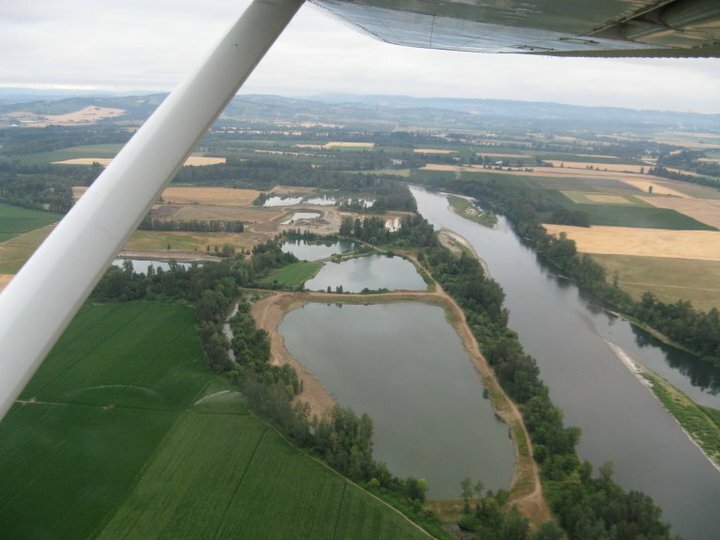 When gravel is removed from river bottomland, the result are permanent ponds that are too deep and cold to be beneficial as habitat and destroy farmland forever. 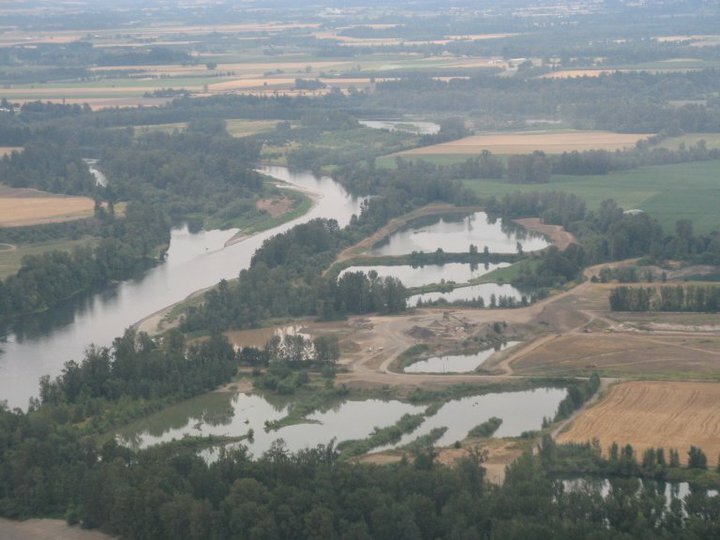 You can’t see it from ground level, but the Willamette River is becoming lined with these ‘ponds’ all along its length. 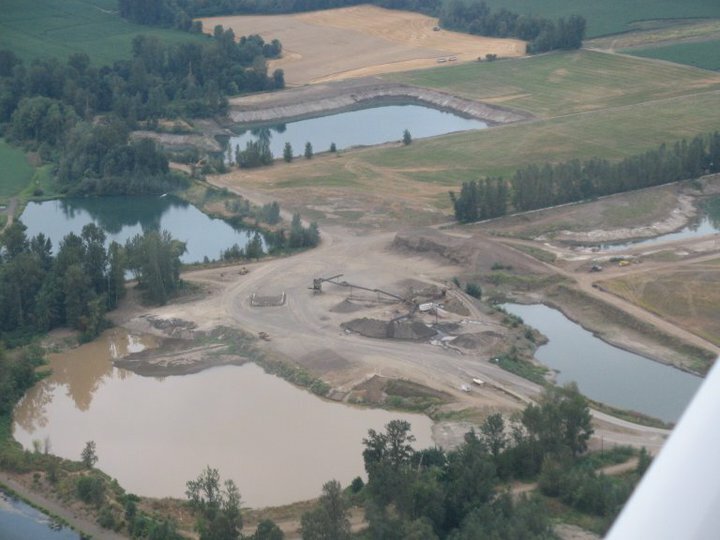 These quarry sites are scars on the valley that offer nothing beneficial to future generations.